Thomas’s older sister and parents all wear glasses, but his family had no idea he might have a vision problem as well. The screening results from school indicated there was a difference in the focusing power of the two eyes, with the left eye significantly more farsighted than the right. A difference such as this can indicate or lead to amblyopia. Thomas’s mother made an appointment with an eye doctor right away. After examination, the screening results were confirmed. 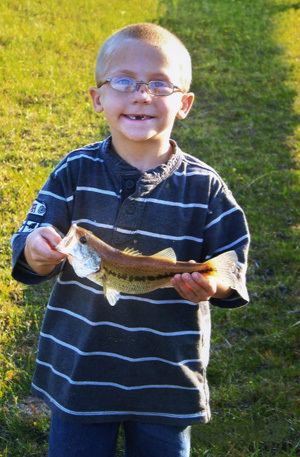 The doctor told his mom that if they had waited much longer, Thomas would have lost vision in his left eye. Glasses were prescribed for full-time wear. Since receiving his glasses, Thomas has made big improvements with his reading and writing skills. He loves to play baseball, go fishing and play video games. His parents have noticed he enjoys all these activities so much more since receiving his glasses. He is no longer frustrated with these activities, which completely thrills his parents.